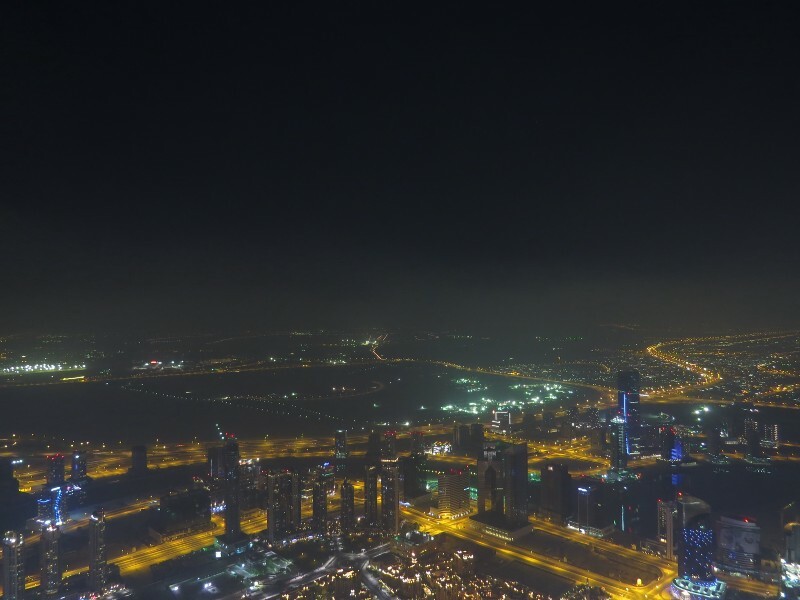 Here’s my itinerary from my 26 hour stopover in Dubai in September 2015. I landed at 06:20 am on a Saturday morning. 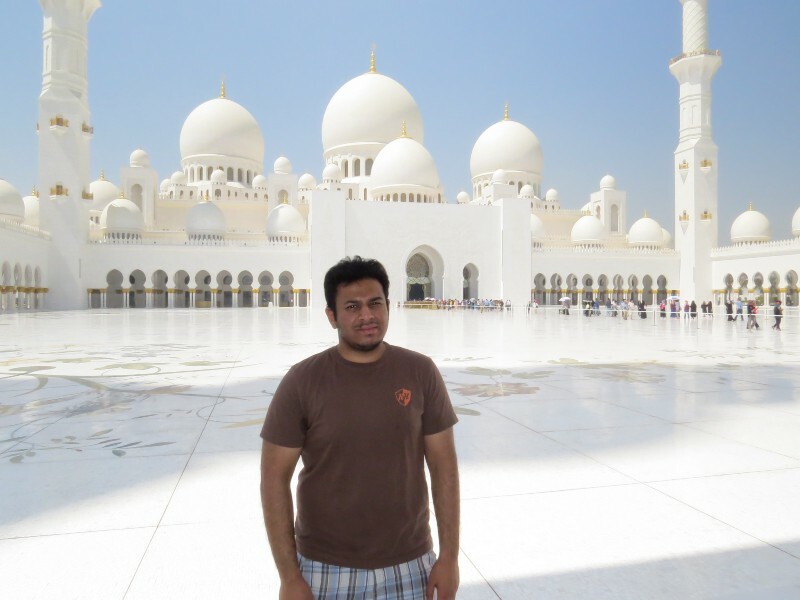 Ali, a high school friend of mine had made all the plans to show me around the city. 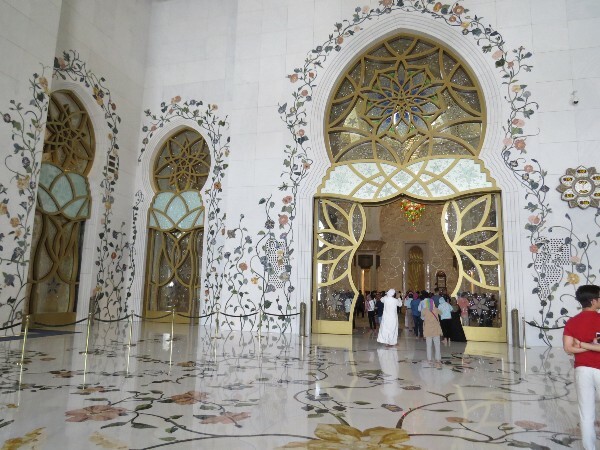 After a quick breakfast at his place, our plan was to head to Spinneys for the Hatta Mountain Safari, however they were booked for the day so we decided to catch a bus to Abu Dhabi for a day trip. If you plan to do the Hatta Mountain Safari, book at-least 2 days in advance. 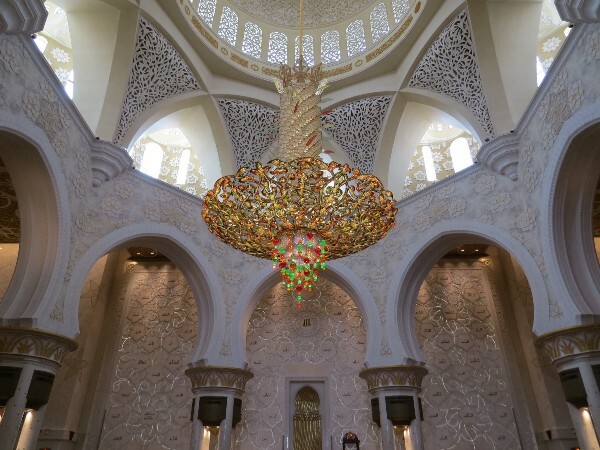 This was our first stop in Dubai. 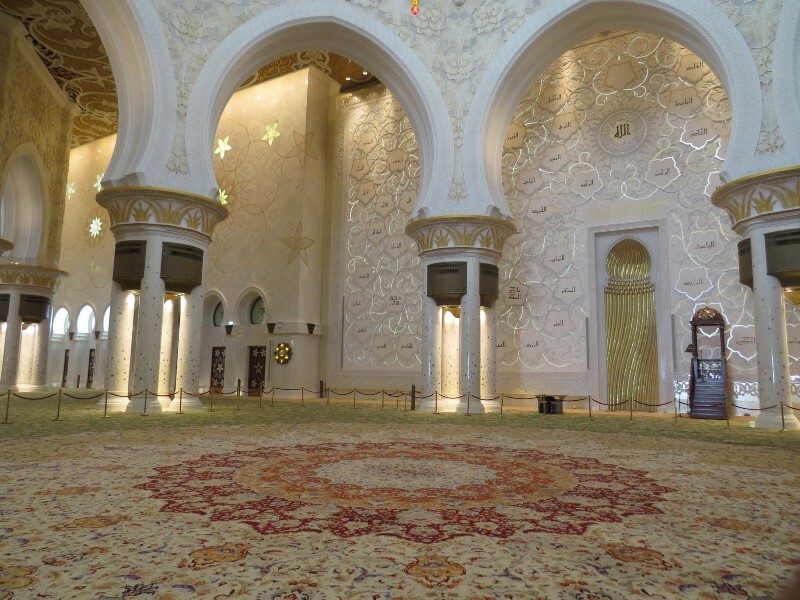 The white mosque is made of marbles and stones from India, Italy, Germany, Morocco, Pakistan, Turkey, Malaysia, Iran, China, United Kingdom, New Zealand, Republic of Macedonia and United Arab Emirates. 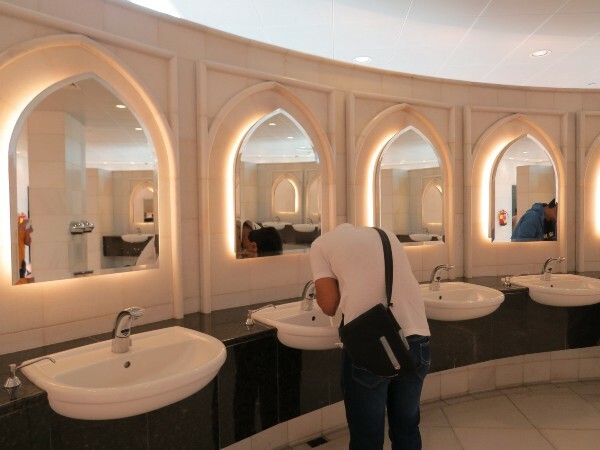 Once you enter the mosque, you are taken to Wudu — a special cleansing or cleaning done by washing your face, arms, feet and also wiping the head. 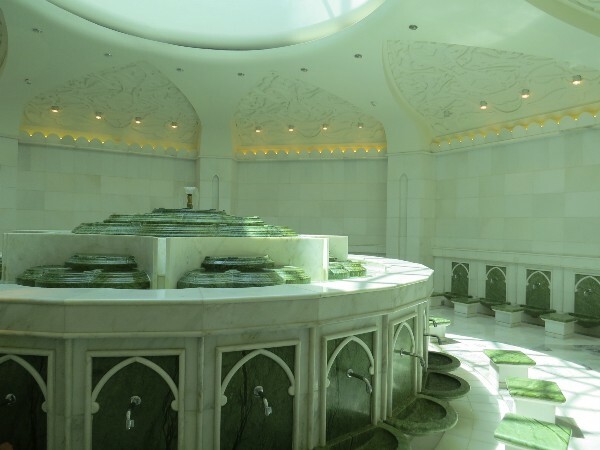 According to them, a person who makes wudu at least 5 times a day has the habit of cleaning, which protects him from diseases and microbes. 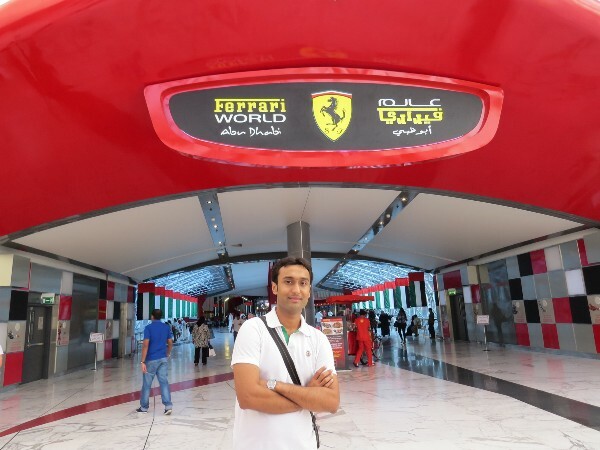 After visiting the mosque, we headed to Ferrari World — the only Ferrari-branded theme park and has the record for the largest space frame structure ever built. 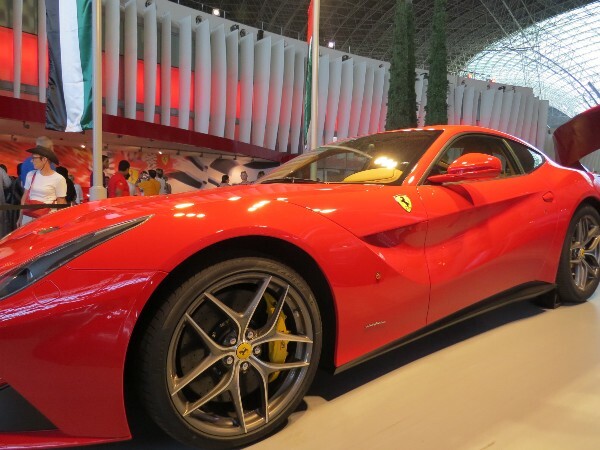 Visiting Ferrari World takes up a complete day, I wouldn’t recommend visiting rushing through Ferrari world like I did. After returning from Abu Dhabi, we decided to quickly check out one of the famous malls of Dubai. 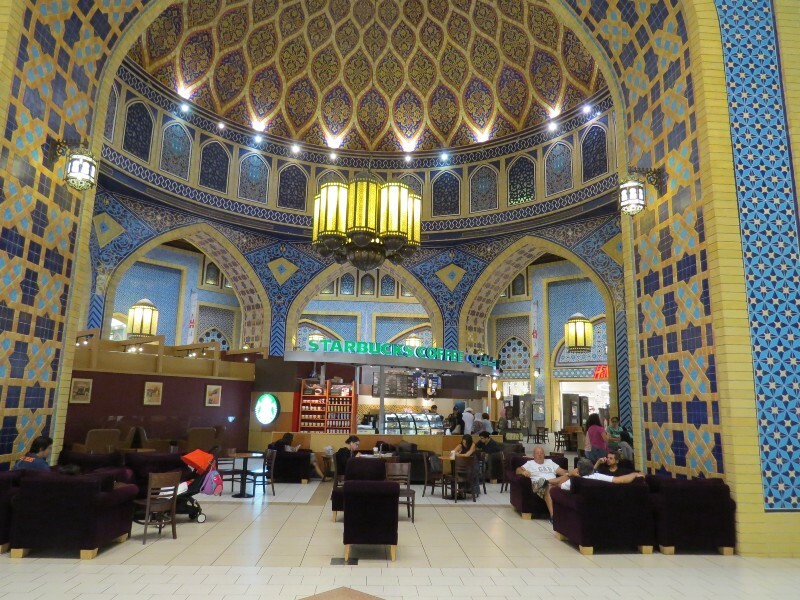 The Ibn Batuta Mall has the most extravagant Starbucks in the world. After visiting Sears tower in Chicago and Taipei 101, visiting the 160 floor Burj Khalifa with the world’s highest observation deck was in my travel check-list, not because of the height and the records but getting a bird-eye view of Dubai sounds much more fascinating than that of Chicago. On our way back, we stopped by Tea Junction in Oud Metha where I met couple of friends from school who happened to visit Dubai at the same time as me, before taking a quick nap and heading to the US for another set of adventures.